This post is a short overview of the last week in reviews in the graphics category of Utopian. I cover the review week from November 22 to November 29 unless otherwise specified. You can see in the table above that only one of the submitted designs received a high score of 80+. Majority of those contributors found their tasks through GitHub. Project maintainers were satisfied with the final results. Even though an appreciation of the projects' owners is essential, we can see that it does not make the designs better than others. All of the contributions listed above were reviewed by our reviewer @baranpirincal. He added tips to improve the designs in his reviews. @oups has been helping with verifying the originality of proposed designs. We have seen many times that some of the designers were heavily inspired by existing designs, which made it difficult to understand an added value. Although it didn't happen this week, I can't forget to repeat that everyone who wants to participate in the Utopian community and has their work reviewed by us should submit original work and not claim the authorship (ownership) of a piece of work that was made by someone else. That applies to work outside Utopian as well. Another point to mention is that some of the designers are trying too hard to propose their work just for the reason to submit it to Utopian. Remember, you don't do the work for Utopian. You do it for yourselves, and the posts are a medium to share your experience, skills and is a way for you to get feedback from others. This particular design was submitted to a task submitted by @to-the-sun. The designer did a good job. However, we may see a few minor issues with the presentation as all the variations make a long sequence of images. That may feel a bit repetitive. One can see it in the last section of the submission and compare for themselves. One more point to highlight is that displaying the designs in an outline mode does not work well as the "proof of authorship". We can't forget to bring new tasks for you. Although they weren't submitted in this review week, we would like to see our community to take part. Amos has been working on a browser extension to enhance the UX of FPL fans. He has made excellent progress with that, and it is time to work on a logo to make people remember his extension easily. Hello @espoem, thank you for this report. 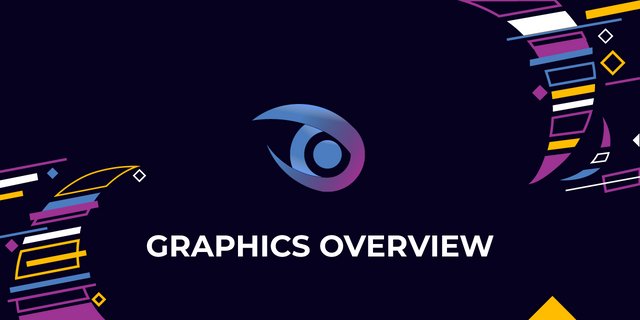 The report is comprehensive as it contains every necessary information of the Utopian Graphics category. I appreciate the fact that you took the responsibility of writing this report for the category. Your effort to make all things go ideally is well appreciated. Your rank has dropped 2 places in the last three days (old rank 708). In our last Algorithmic Curation Round, consisting of 253 contributions, your post is ranked at #87. I upvoted your contribution because to my mind your post is at least 5 SBD worth and should receive 67 votes. It's now up to the lovely Steemit community to make this come true. Thanks for comment my work.